For more than two decades, Woodys Lawn and Landscape has helped residents of Lincoln, Bennet, Hickman, Firth, Palmyra, and Eagle turn ordinary backyards into incredible outdoor living spaces with the addition of outdoor kitchens, decks, pergolas, and more! 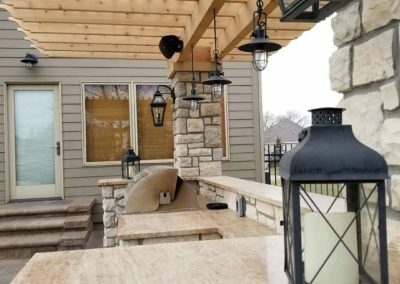 If you spend a lot of time grilling and entertaining outside, then there’s no better addition to your home than an outdoor kitchen. 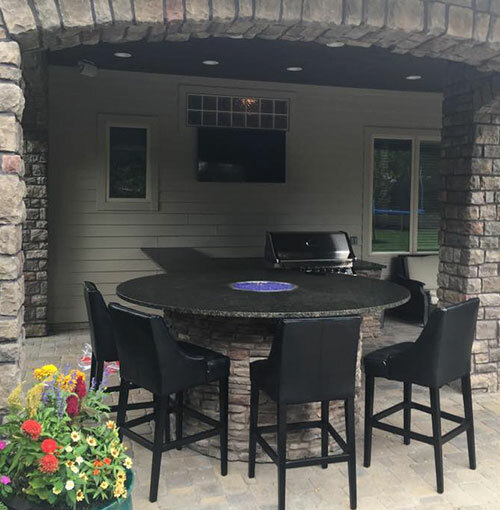 Our team of experts will handle everything so that you don’t need to involve multiple contractors or builders to get the outdoor kitchen you want!  Our goal is to always involve you and seek your input with our design ideas. After all, it’s your property that’s going to be changing! Throughout the landscape design process, we work with you to ensure that your vision is being brought to life. 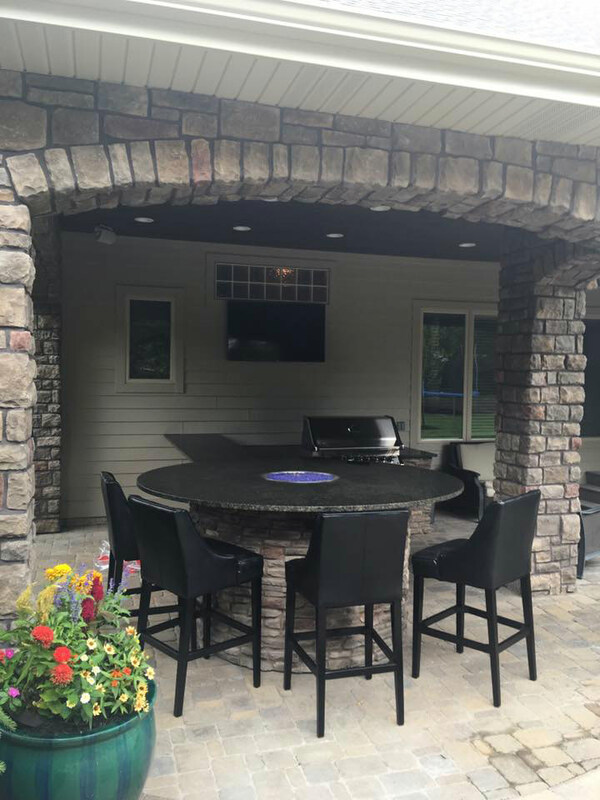 Once the design is finalized, we begin building your outdoor kitchen. We handle everything—including the addition of natural gas lines, water lines, and electric lines—to make sure your kitchen looks and functions how you anticipated! The perfect option for anyone with a home raised above the yard is to install a deck. 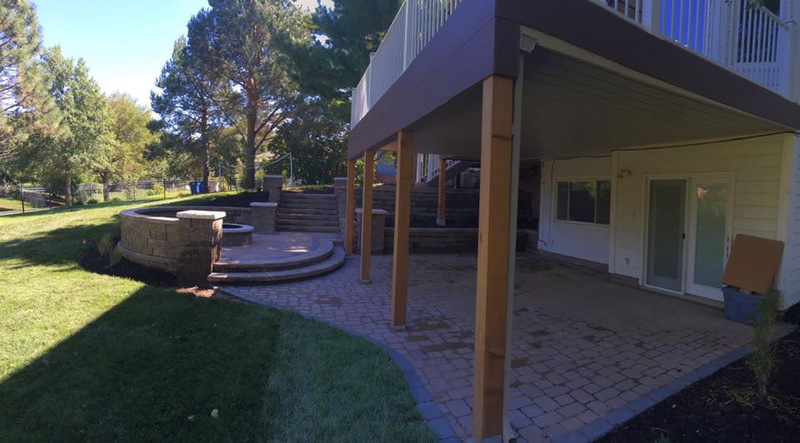 Woodys Lawn and Landscape can design and build decks for any type of home in any type of backyard. Need a new deck? We have you covered! Our team has been building new decks and replacing old ones since 1992. 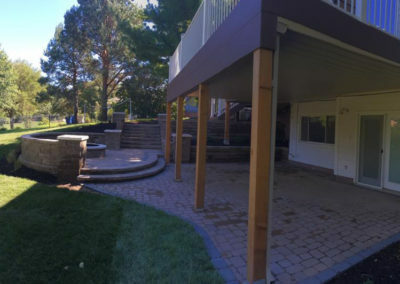 We’ve worked with wooden decks and composite decks over the years, giving us a unique perspective to help every individual we work with to make the most informed choice. Have a few loose boards or a railing that’s falling apart? No problem. If you’re in need of deck repairs, let us know! Our team is skilled in making minor (and major) repairs to decks. 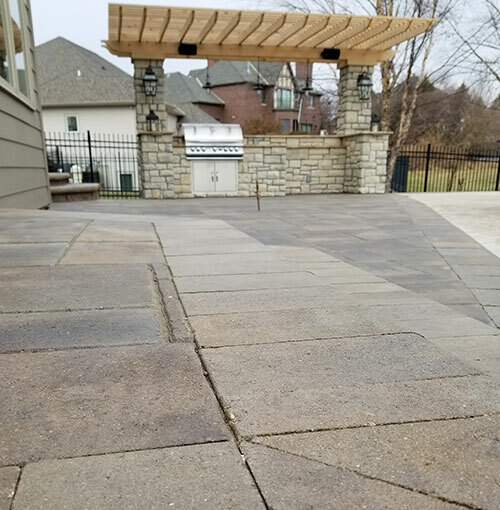 We work with you to match your deck’s current style. 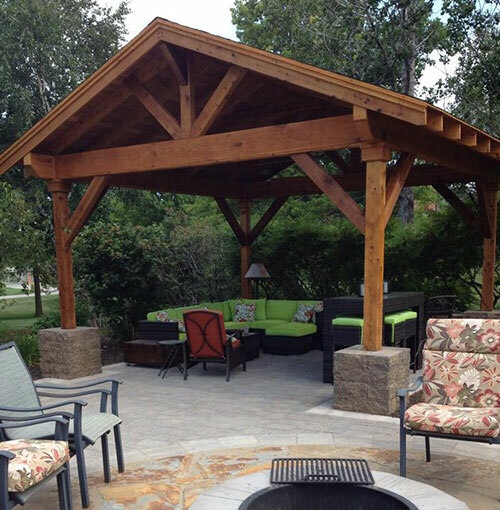 Turn your outdoor living space into a great shaded area with the addition of a pergola or overhead structure! 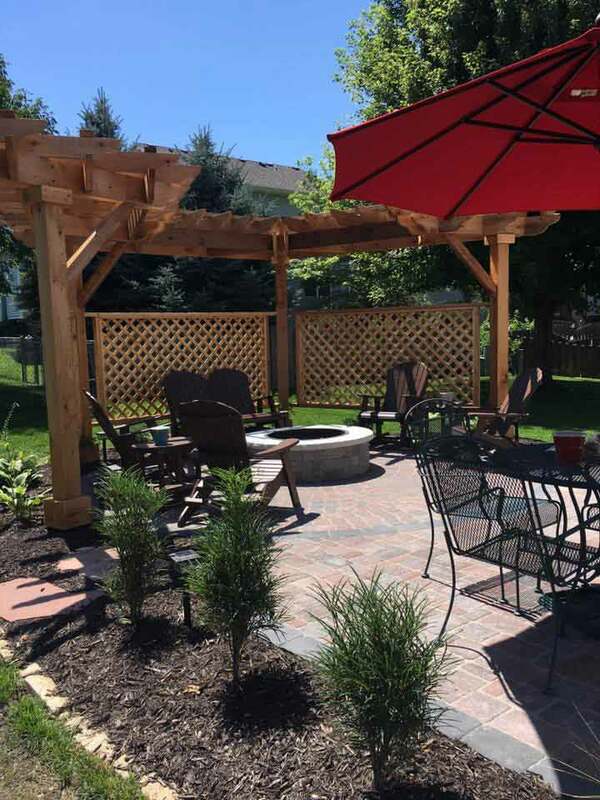 For a modern look, we recommend adding a pergola to any paver patio in your backyard. 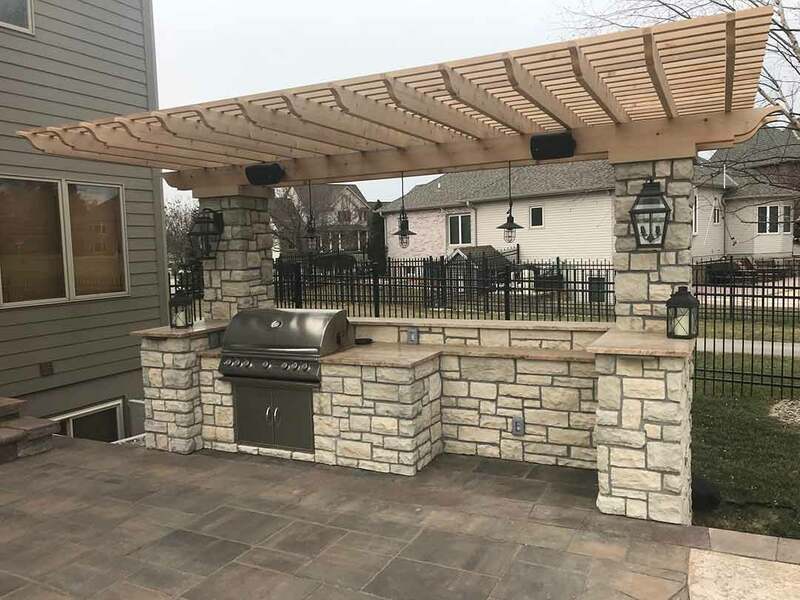 Pergolas serve as a functional addition to any outdoor living space, as they help shade you from the sun and keep you and your guests cool whenever you’re outdoors. 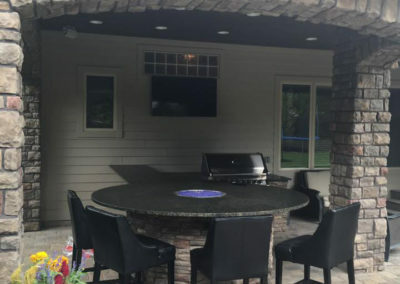 We design and install overhead structures such as awnings and overhangs to protect our customers from the elements when enjoying time in their backyard. These overhead structures are perfect for providing shade on sunny days and protection from the rain when Mother Nature decides to spend time with you, too! 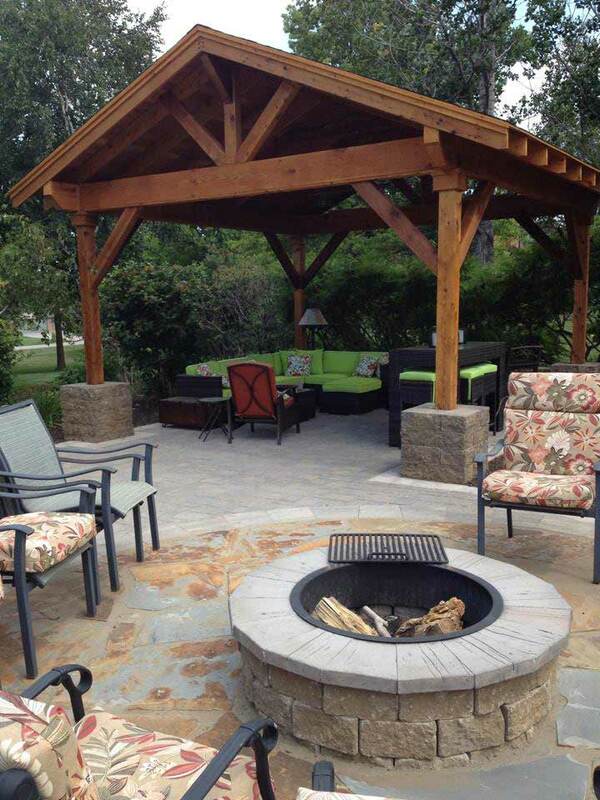 Take a look at our finished outdoor living spaces and see what we can do for you! 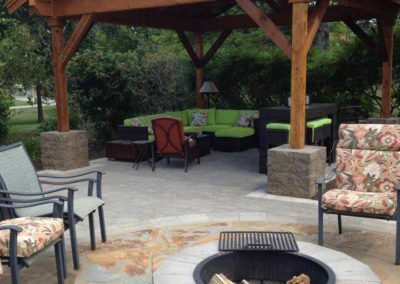 Want to really make your outdoor living space feel like a second home? 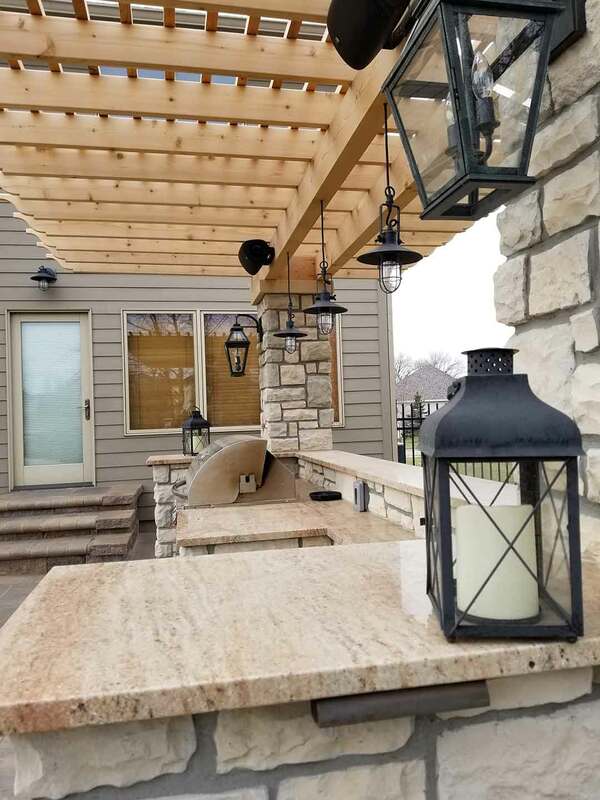 Add outdoor landscape lighting! With great lighting, you can enjoy your outdoor living space with family and friends well into the night. 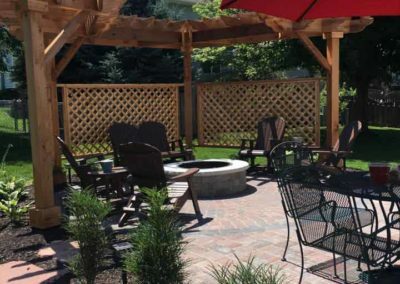 If you’d like to add an outdoor living space to your backyard, let us know! Woodys Lawn and Landscape is ready to take your call or answer a quick message to set up a free initial consultation with you today! © 2019 Woodys Lawn & Landscape. All Rights Reserved.